The man's death was first reported by Outside Magazine, which noted that at least 10 people died in the park a year ago, including another man who slipped and fell to his death near Nevada Fall. President TrumpDonald John TrumpBiden on Trump's claim former presidents wanted to build wall: "Come on" Trump seizes on ex-NYT editor Jill Abramson's criticism of paper GOP strategist Ed Rollins refers to Ocasio-Cortez as "the little girl" MORE's decision to leave the parks open during the partial shutdown is counter to those of previous administrations during previous shutdowns. 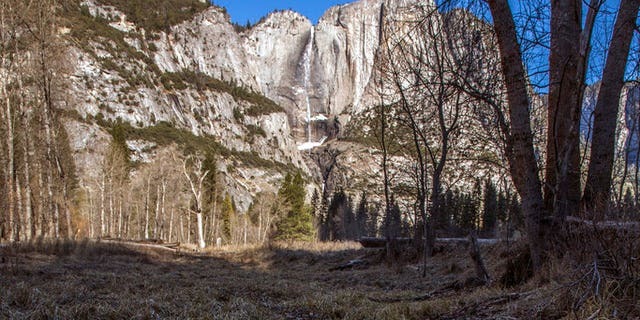 On Christmas Day a man fell into a river in California's Yosemite National Park and died. Though they began first aid immediately, the man died from his injuries. Park officials say donations are keeping several other campsites in Death Valley National Park open as well as some restrooms. Rangers were reportedly on scene in less than an hour and the injured man was removed from the water. National parks have remained open with less staff during the shutdown, and the Park Service estimates up to 16,000 of its 19,000-person workforce is furloughed due to the shutdown, the Post reports. As of January 3, 2019 the partial shutdown has been going on for almost 13 days, now making it the fourth longest in United States history. The national parks were set aside to protect ancient artifacts, endangered species and natural resources. Regas said advocating the closing of parks completely, rather than just campgrounds, is "a very unusual stance" for her organization, which works to increase access to parks and has donated land to expand them, including Yosemite National Park. Visitors that do march into the park will find closed bathrooms and no trash collection. Outside Online reporter Wes Siler says the tragedy, which took place on the afternoon of December 25, was confirmed yesterday by the supervisory public affairs officer for the National Park Service, Andrew Muñoz. "The parks are being forced to take this action for health and safety concerns", the parks' public affairs officer Sintia Kawasaki-Yee said in a press release reported by USA Today.